On-Trac Ag is a local progressive farm machinery and light construction equipment business with branches located in Bathurst, Mudgee and Orange. 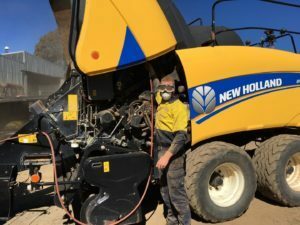 We have a commitment to high quality workmanship on all brands we sell and service, in particular New Holland Agriculture and New Holland Construction. We pride ourselves on exceptional customer service through our sales, service and parts departments.